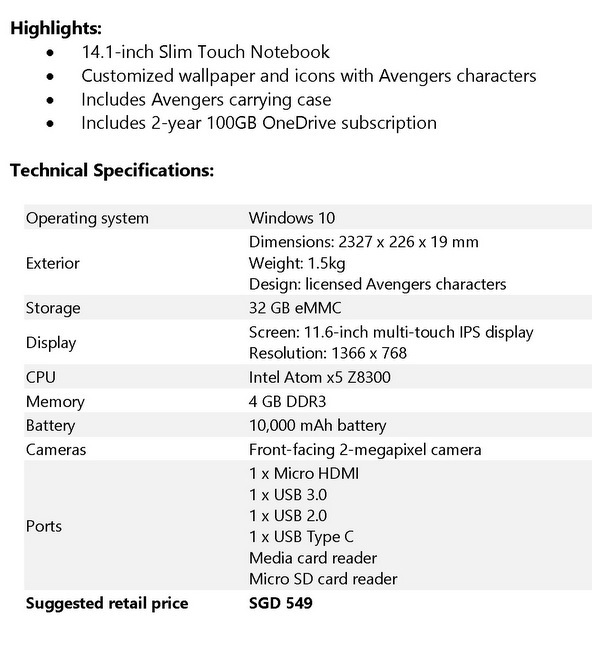 Microsoft has collaborated with E-Huge Technology to launch three Avengers-themed Windows 10 devices in Singapore. 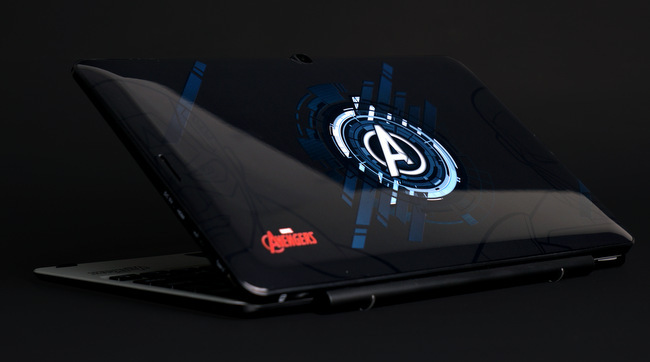 Sorry #TEAMCap, you will not have a device themed with solely of Captain America. 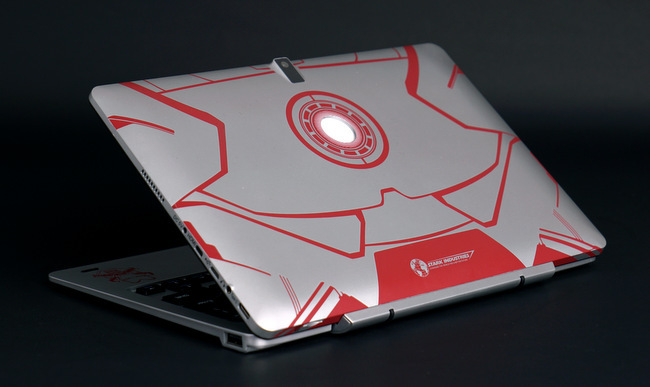 But the Iron Man gets flashy 10.1″ 2-in-1 tablet (AVR10T) with a glowing Arc Reactor on its lid which #TEAMIron fans will go gaga over it. 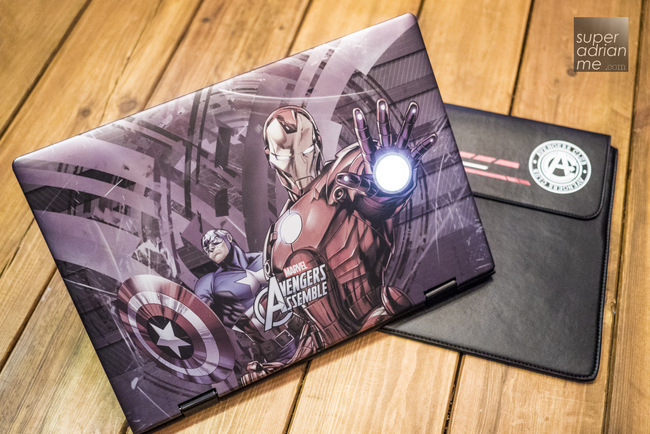 The other two devices, a 11.6″ Windows 10 2-in-1 tablet (AVR116T) spotting a glowing Avengers logo on the lid and a 14.1″ Windows 10 Touch Notebook (AVR141R) with comic artwork of Captain America and Iron Man with glowing Blaster, are some what less cool than the Arc Reactor tablet in my opinion. 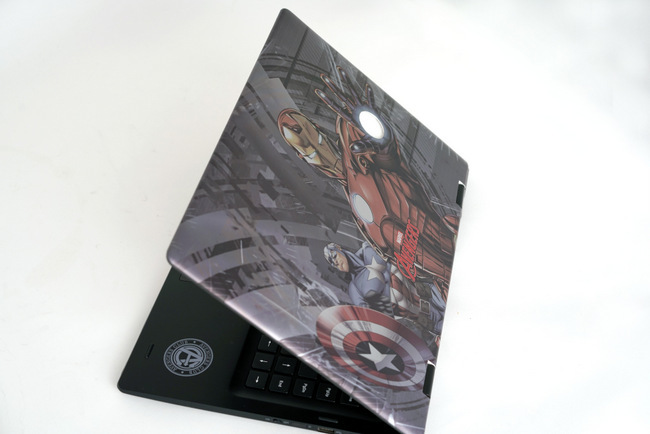 All these devices come pre-installed with Microsoft Office Mobile apps with custom wallpapers, icons and specially designed carrying sleeve or pouch to protect your precious novelty. 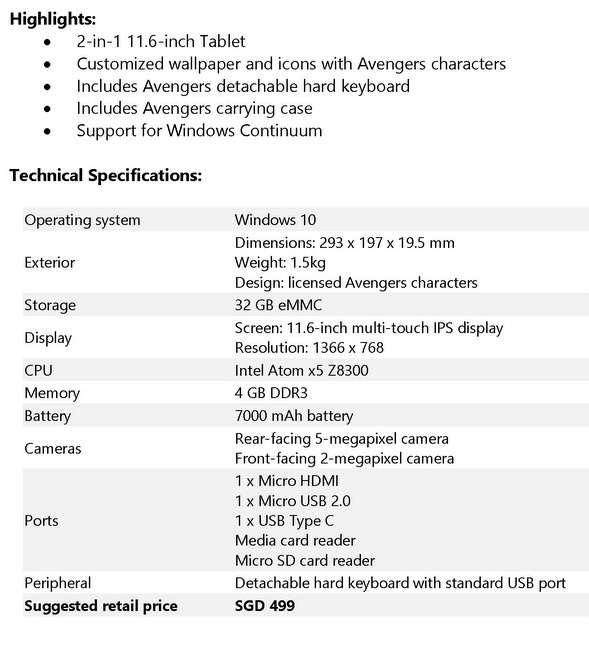 Hi..just wanted to say i bought the AVR116T. A word of advise for those who are thinking about it, get the 10 inch instead. 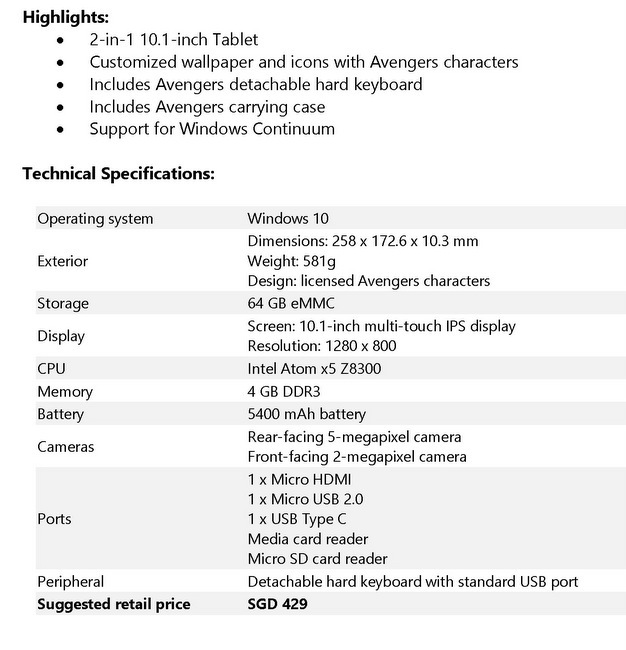 – you can’t update windows 10 due to the 32GB of internal memory. 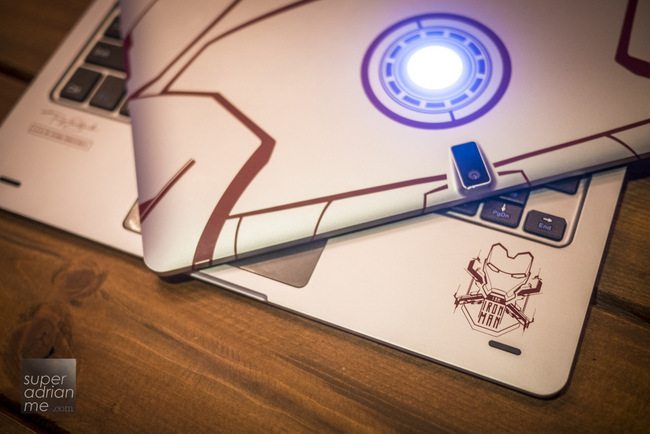 – The Bluetooth is another issue as it will detect your device for a few seconds before it stops working.